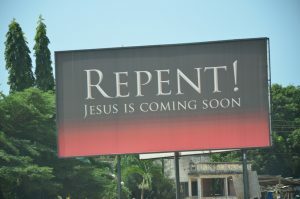 Get Ready Cause Jesus is Coming Soon! I see this often on social media and it just drives me crazy. What exactly does it mean to “get ready” for Jesus’ return? Is it like when the boss walks through the office and somebody says here he comes, everybody look busy? Maybe it’s like when you were a kid in school and everyone started acting up when the teacher stepped out of the room for a moment. As soon as she returned we all jumped back into our seats and tried to look innocent. Do people actually think a warning like this has any effect or does it just make the person posting it feel like they are doing something for the Lord?